"Darkness was my 'samurai' record," Springsteen writes, "stripped to the frame and ready to rumble.” But the music that got left behind was substantial. This extraordinary deluxe package comprises nearly six hours of film and more than two hours of audio across 3 CDs and 3 DVDs. It comes with an 80-page notebook containing facsimiles from Springsteen's original notebooks from the recording sessions, which include alternate lyrics, song ideas, recording details, and personal notes in addition to a new essay by Springsteen on the album and never-before-seen photographs. The Deluxe Package also features The Promise: The Making of 'Darkness on the Edge of Town,' a documentary directed by Grammy- and Emmy-winning filmmaker Thom Zimny. The ninety-minute film combines never-before-seen footage of Springsteen and the E Street Band shot between 1976 and 1978, including home rehearsals and studio sessions with new interviews with Springsteen, E Street Band members, manager Jon Landau, former-manager Mike Appel, and others closely involved in the making of the record. In addition, the set features more than four hours of live concert film from the Thrill Hill Vault, including the bootleg house cut (the footage that appeared on-screen at the concert) from a 1978 Houston show, and a 2009 performance of Darkness on the Edge of Town in its entirety from Asbury Park. The special performance in Asbury Park was shot in HD without an audience and successfully recreates the stark atmosphere of the original album. The Deluxe Package also includes Darkness on the Edge of Town, digitally remastered for the first time, as well as the 2 CD set The Promise: The Lost Sessions from Darkness On The Edge Of Town. 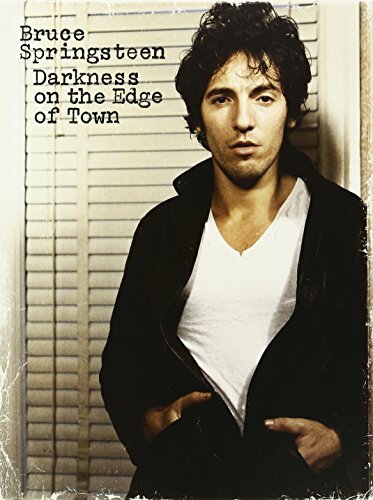 The two discs contain a total of 21 previously-unreleased songs from the 'Darkness' recording sessions, songs that, as Springsteen writes, "perhaps could have/should have been released after Born To Run and before the collection of songs that Darkness on the Edge of Town became." Highlights include the extraordinary rock version of "Racing in the Street," the never-before-released original recordings of "Because the Night," "Fire," and "Rendezvous," the supreme pop opus "Someday (We'll Be Together)," the hilarious "Ain't Good Enough for You," the superb soul-based vocal performance on "The Broken Hearted," the utterly haunting "Breakaway," and the now finally released, fully orchestrated masterpiece and title song, "The Promise." All 21 songs have been mixed by Springsteen's long-time collaborator, Bob Clearmountain. According to long-time manager/producer Jon Landau, "There isn't a weak card in this deck. The Promise is simply a great listening experience." This package gives fans an unprecedented look into Springsteen's creative process during a defining moment in his career. Blu-Ray 1: The Promise: The Making of "Darkness on the Edge of Town"